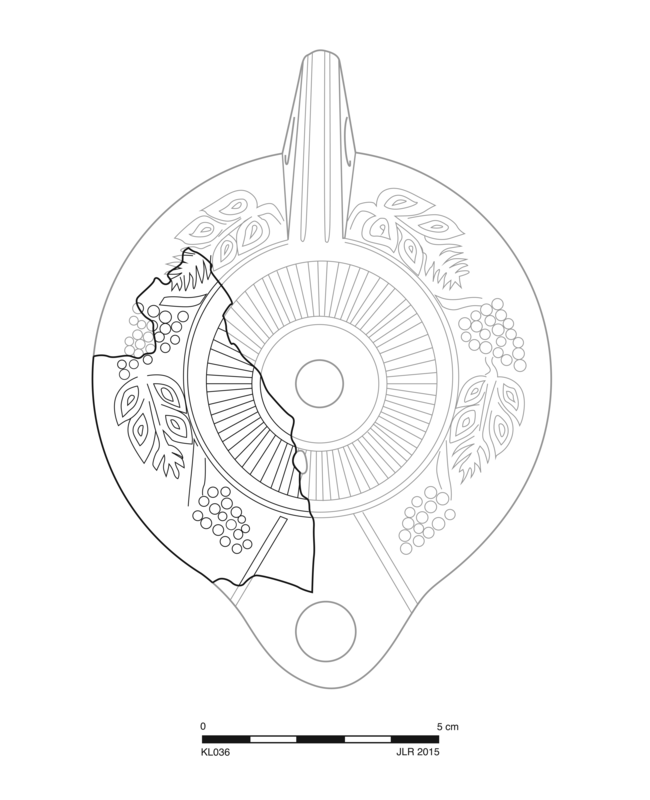 Circular discus has central filling hole with raised rim, ray motif, and flat, narrow framing ring. 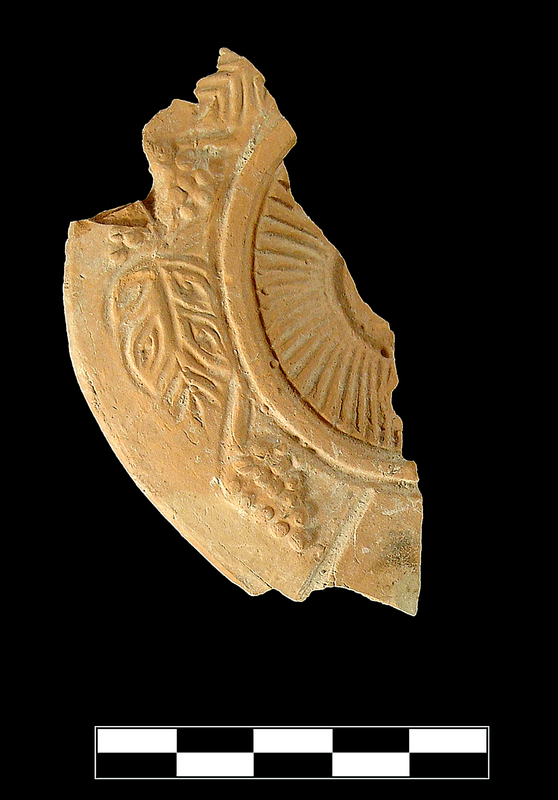 Shoulder has grapevine motif; leaves have lobes, vine is straight, and grape clusters are conical. Flat, kite-shaped nozzle. Details are sharply rendered. 5 YR 7/6, reddish yellow. Early/Middle Roman Corinthian lamp fabric: slightly red, somewhat grainy, hard. One fragment preserves one-quarter of shoulder and small parts of discus and nozzle. Well preserved.